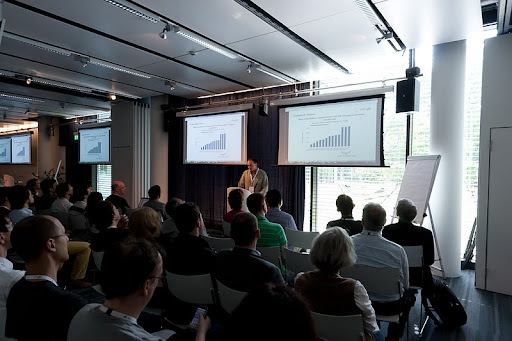 Earlier this month, we held our fourth Europe, Middle East and Africa (EMEA) Faculty Summit at our Zurich office, Google’s largest engineering center in the region. 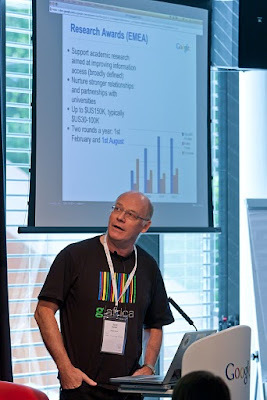 This was EMEA’s biggest Faculty Summit to date, with some of EMEA’s foremost computer science academics (103, to be exact) from 73 universities representing 28 countries, plus more than 60 Googlers in attendance. Over the course of three days, participants chose from 48 different sessions, technical streams and tech talks (given by both Googlers and academics) that covered a variety of computer science topics including privacy, software engineering and natural language processing. The Faculty Summit is a chance for us to meet with computer science academics to discuss operations, regional projects and ways we can collaborate via our our university programs. These programs include our Focused Research Awards, which, to date, are nearing €3.7 million with recent awards in Europe given to researchers exploring privacy, fact discovery, test amplification, optimization and security, among other topics. We also have an academic research initiative to understand market algorithms and auctions, the Google European Doctoral Fellowship and the general research awards program. This year’s jam-packed agenda included a welcome address by Yossi Matias, senior director and head of Google’s Israel Research and Development Center, covering Google’s engineering activity and recent innovations in EMEA; a presentation by Alfred Spector, vice president of research and special initiatives, on our approach to research and innovation; and a presentation by Nelson Mattos, vice president of EMEA product and engineering, on exciting developments and opportunities in Africa and the Middle East. David Konerding presented Google’s Exacycle for Visiting Faculty, a grant program for high-performance, CPU-intensive computing where we’ll award up to 10 qualified researchers with at least 100 million computing core-hours each, for a total of 1 billion core-hours. Professor Claudia Eckert, a guest visiting from the Technical University of Munich, gave an insightful presentation on security, privacy and the future of the internet. We also held one-on-one break-out sessions where academics and Googlers could meet privately and discuss topics of personal interest, such as how to develop a well-constructed research award proposal, how to apply for a sabbatical at Google or how to gain Google support for a conference in a relevant research area. The Summit provides a great opportunity to build and strengthen research and academic collaborations. Our hope is to drive technology forward by fostering mutually beneficial relationships with our academic colleagues and their universities. Stay tuned for more details about the North America Faculty Summit in New York, July 13-15. Hmm looks cool this seminar really rocks you my friends.